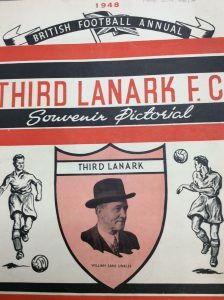 A souvenir pictorial on Third Lanark. Did your grandfather referee the Junior Cup final? 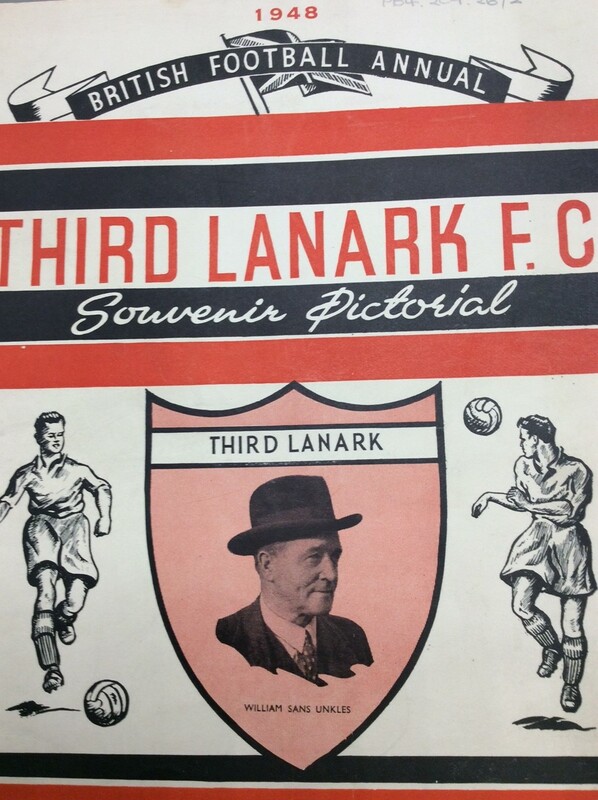 Did your father play inside left for Third Lanark? If so you may just be able to further your family history research using the newspaper resources that we offer at the National Library of Scotland. The National Library of Scotland has a large collection of microfilms, a number of which were produced as part of the NEWSPLAN programme. This was a project, overseen by the British Library, which involved the microfilming of an extensive number of British and Irish local newspapers. From the Aberdeen Advertiser to the Wishaw Press (not quite A-Z but close) the Library holds hundreds of local newspapers both in microfilm and hard copy, and these can be invaluable resources for local football coverage that isn’t covered in great detail by the national newspapers, such as match reports and photography of amateur, junior or provincial professional teams. The Library also has good coverage of the major Scottish newspapers, including runs of The Herald and Scotsman dating back to the early 19th Century. Coverage of the Scotland international team, European competition and the major teams is usually more in-depth in the bigger newspapers, so if your father did indeed play inside left for Third Lanark or score the winning goal in the Scottish Cup Final you may be best consulting a national newspaper for coverage. Furthermore the Library provides access to the British Newspaper Archive for onsite users. This is a digital archive of over 600 newspapers held in the British Library’s collection. Some of this content is held by the Library already in hard copy but it contains a search facility which may, depending on the information you have, take you straight to the relevant article, rather than having to page through months of old newspapers. 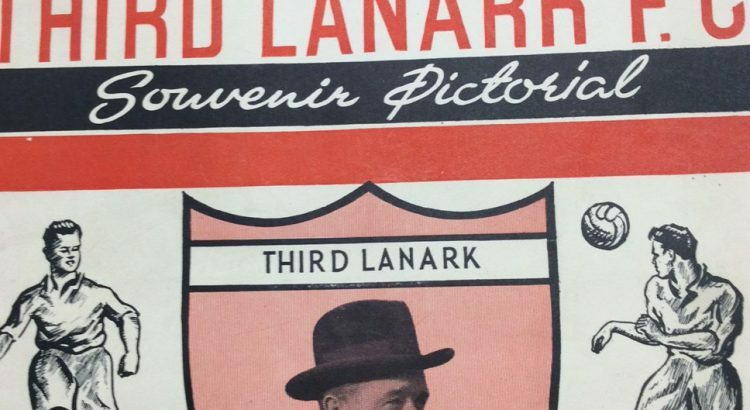 It also covers some gaps in our collection – for example we only have a comprehensive run of the Daily Record & Mail (the forerunner to the Daily Record) from 1953 onwards, but this resource covers 1914-1945 for this publication. In Reference Services we receive numerous enquiries from people all over the world who are looking for information in this area. These enquiries can vary from people wanting to buy a surprise present such as a photograph of their relative in action, or to receive photocopies of match reports in order to jog the memories of elderly relatives. We also have several readers that visit the Library in person to track the footballing exploits of their descendants. The Library offers self-service photography which means that, once you sign a form to agree to comply with copyright restrictions and conservation, you are able to take photographs using your own portable camera equipment. In addition we now have an on-line photocopy order system which allows people who are not able to visit the library to create and pay for orders. Further information can be found on our website. Should you have any further queries about this or any other subject, please contact us at Ask a Librarian or simply speak to staff at our Enquiry Desk.